In order to use custom modes and patches of apps on your iOS Devices – iPhone, iPad etc., jailbreaking ios devices has become common practice. Jailbreaking? 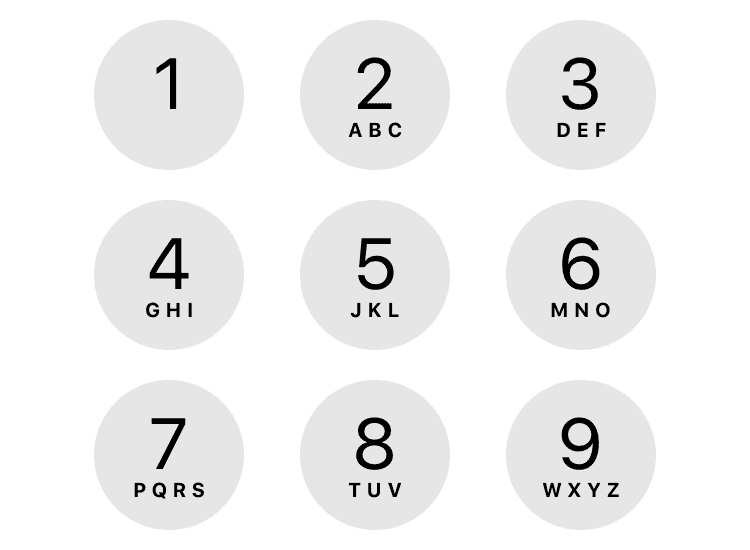 That complex process for tweaking iPhone’s security to use unofficial apps? Nah, I would recommend you to do that if there exist simple things. vShare for iOS is that simple and easy thing I was talking about to meet your demands. There are plenty of apps which are not available on the iOS app store. On the other hand, app store contains premium apps and games for those we can not afford to purchase booster packs. However, custom mods of such premium apps are available where such premium features will be unlocked. In such cases, vShare comes into play with its variety of features. 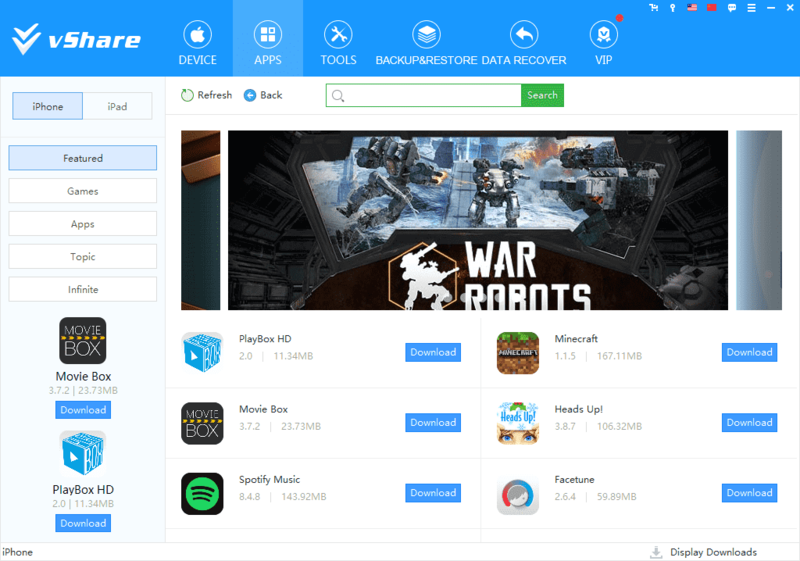 vShare can be considered as an alternative of app store of iOS or Play Store of Android where thousands of free and paid applications and games are available to download and install. 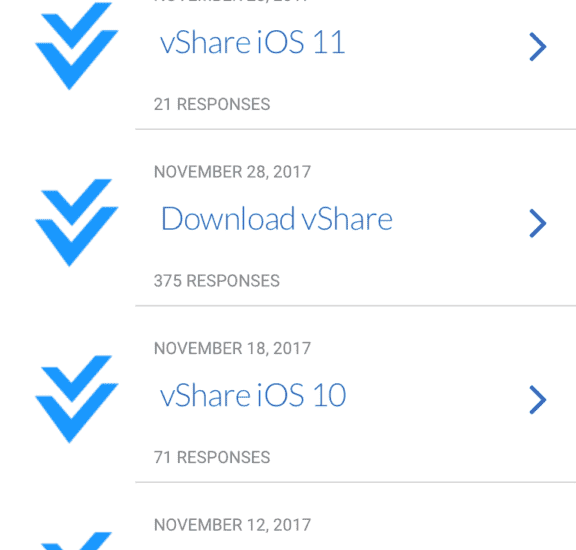 There are various methods available to download vShare on iOS devices and install on your iPhone. You may get failure error depending on your iOS version, but that’s where multiple methods will come in handy. However, some of them are not recommended because of interfering security of iOS devices. But alternate methods work very well. So without wasting time, let’s move towards the pictorial procedure of vShare installation. Step 1: First of all you need to download vShare Helper PC. It can be downloaded from their official website or directly by the following download button. 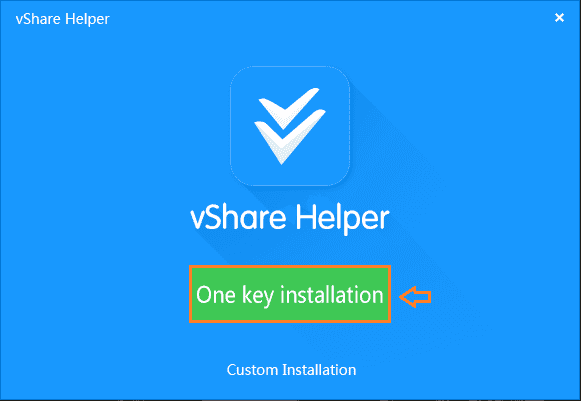 Step 2: Open downloaded vShareHelper_setup.exe and click on “One key installation” which will initiate the installation process. 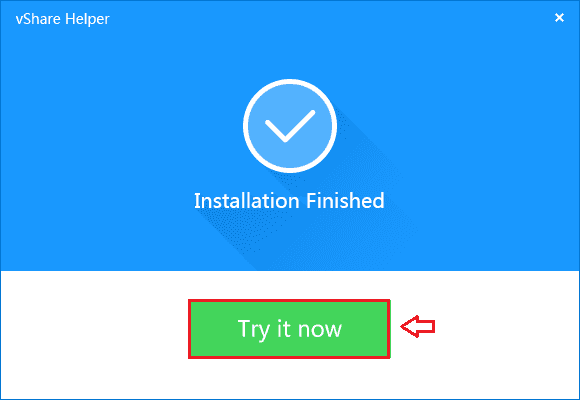 Step 3: On the next screen, you will face a few basic installation steps. 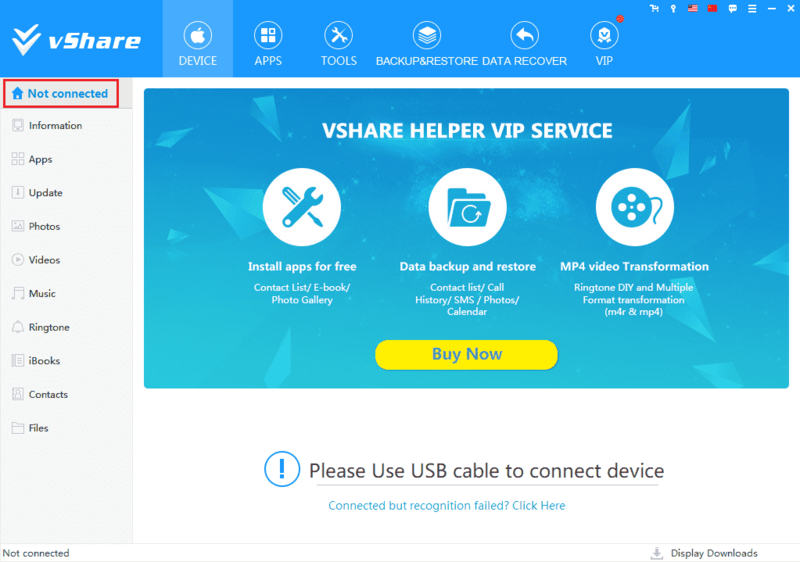 Once Installation finishes, open vShare helper. Step 4: The visible screen will follow the depicted image. you need to connect your iOS device to the computer running vShare Helper to proceed further. 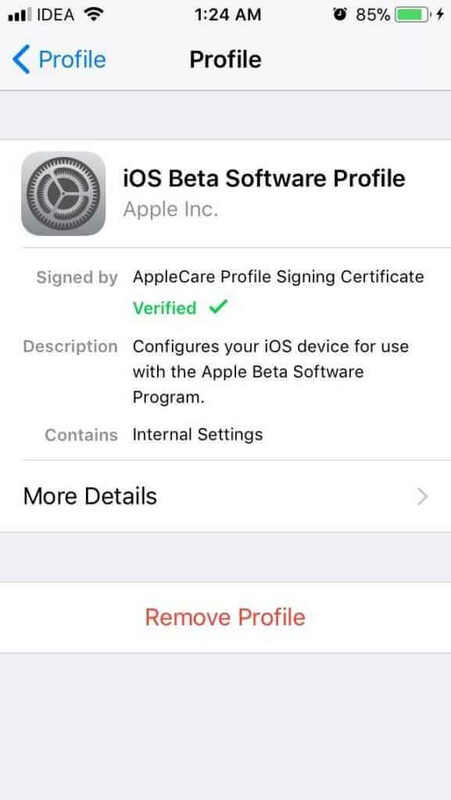 Step 5: As soon as you connect your phone to computer, vShare Helper will start authorizing your iOS device to identify the device model. 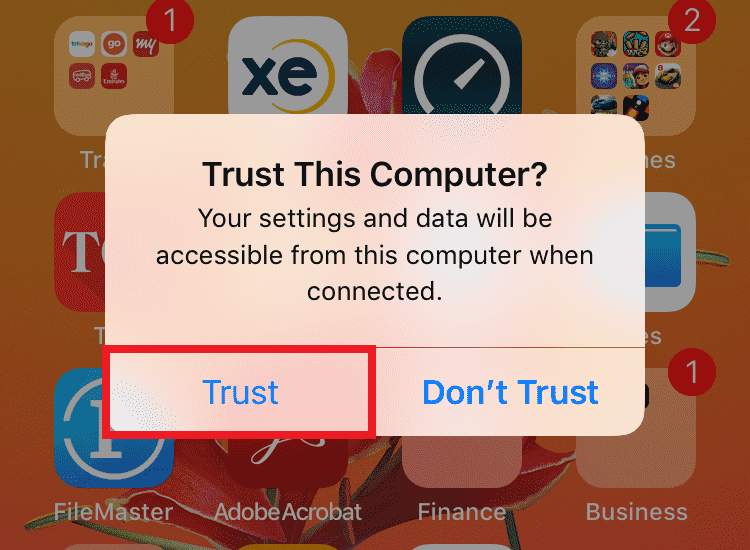 You will require to tap on “Trust this computer” using your password in between. Step 6: Once authorization accomplishes, it will show complete information about your device. To download vShare for iOS, choose Install vShare from home screen. Step 7: You will be able to track downloading progress via download section. Step 8: From the app section, you can search any desired app and install directly on your iPhone. 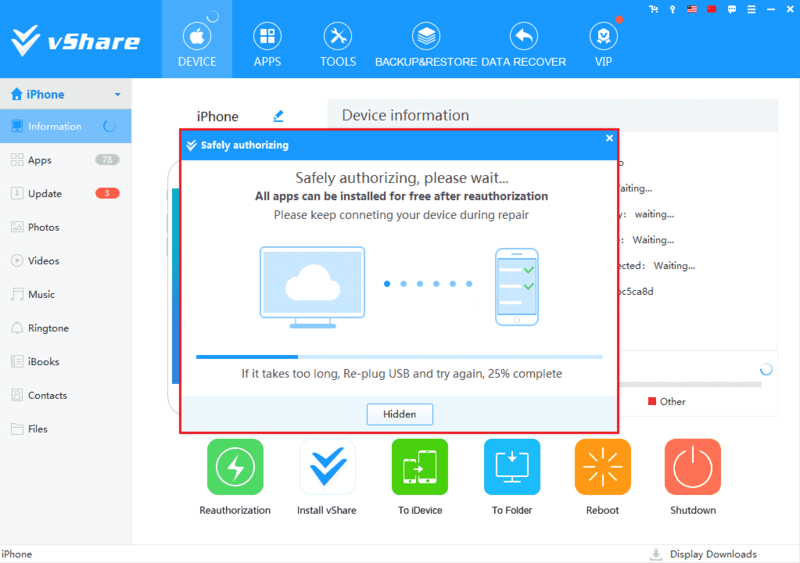 This method won’t require any third-party app or platform in order to install vShare for iPhone, iPad. Just follow this stepwise procedure. Step 1: On the safari browser, visit here. Step 2: Tap on the download button(↑up arrow) at the bottom of the screen. Step 3: Select Add to Home Screen from recently opened another popup menu. Step 4: vShare icon will be added to your home screen and you just need to activate to run it. Step 5: Open Setting >> General on your iPhone. Step 6: Head to Profile and select it. Step 7: On the next screen allow Trust “Shenzhen Guotai Anbang Investment Co. Ltd.” by providing your password or fingerprint. Step 8: From app drawer of your iPhone/iPod, you must be able to run vShare now. If you are a smartphone geek, you would have probably jailbroken your iOS device. 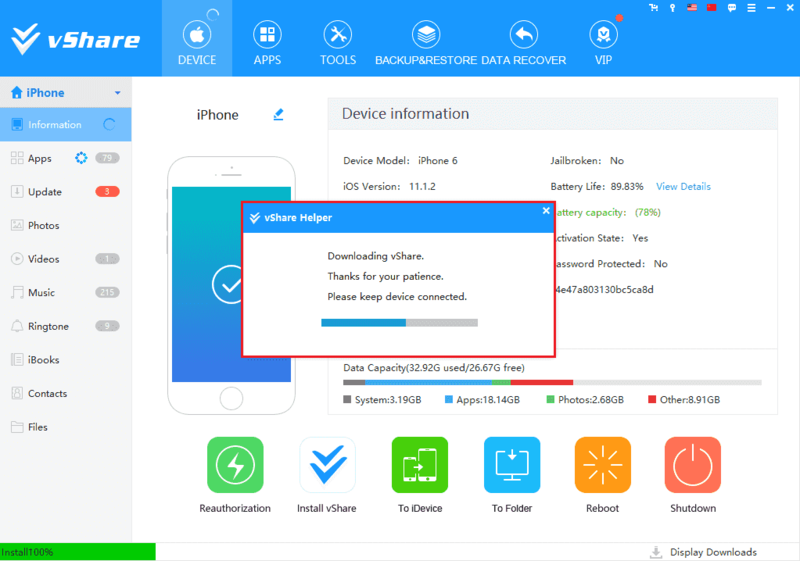 If this is the case, here’s how you can download and install vShare on your iOS device. Step 5: Install the vshare from the search result and that’s it! It seems very useful to use vShare on iOS devices as we can have easy access to a variety of apps and games which aren’t available on iOS app store. 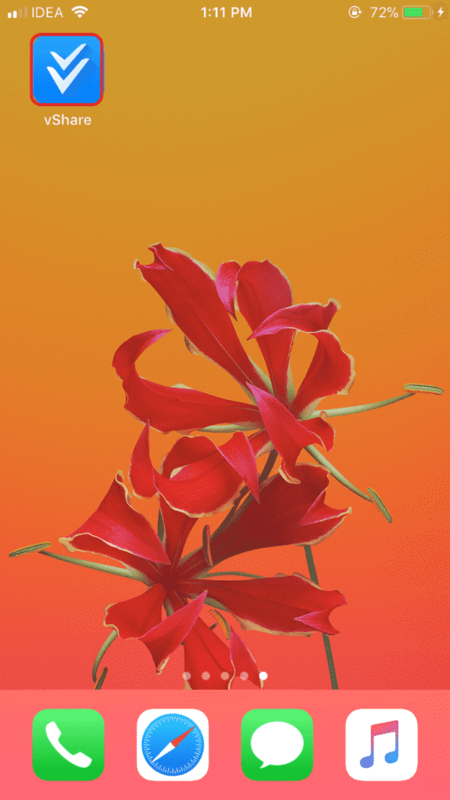 It can be the best alternative of iTunes for transferring files and data to and from the computer. 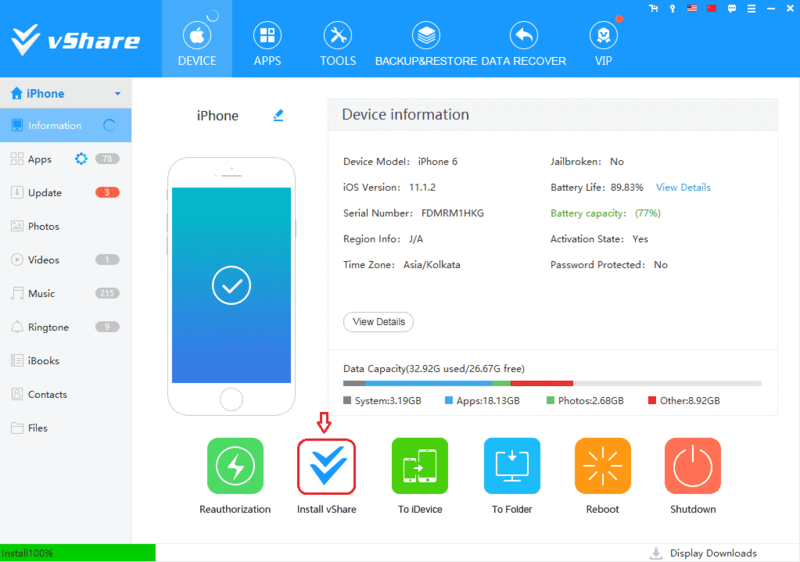 As users don’t have to jailbreak their iPhone to use vShare, you should try at least once. I am pretty sure it will be worth trying vShare for ios.